WhatsApp has always tried to stay ahead of the curve in a lot of ways, but, with an impressively busy beta release schedule, it is often hard to keep track of every novelty and how it found its place inside the app. The following batch of features can be found in version 2.12.535 of the app and appear to be new. 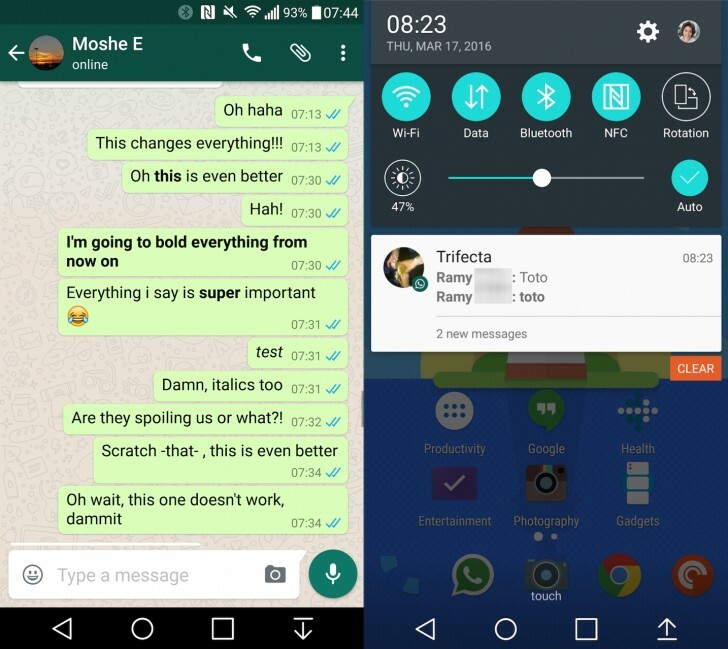 WhatsApp now supports a bit of text formatting. Just like in Google+, if you surround something with asterisks, it becomes bold and using underscores, produces italics. Sadly, that's about it and even dashes don't produce the expected strike-through effect. However, it is worth noting that both formatting options also work in notifications. And while we are on the topic, the sender name now appears in bold within notifications for improved legibility. Another area with a lot of improvement is the document sending feature, that was first introduced to WhatsApp a couple of weeks ago. Now it has an extra menu option titled "Browse other docs". Clicking it allows you to fetch documents from your Google Drive or Microsoft OneDrive accounts. Currently, it seems to work with PDF's, as well as basic Docs, Sheets and Presentations, which also get converted to PDF before being sent, most likely to avoid compatibility issues at the receiving end. 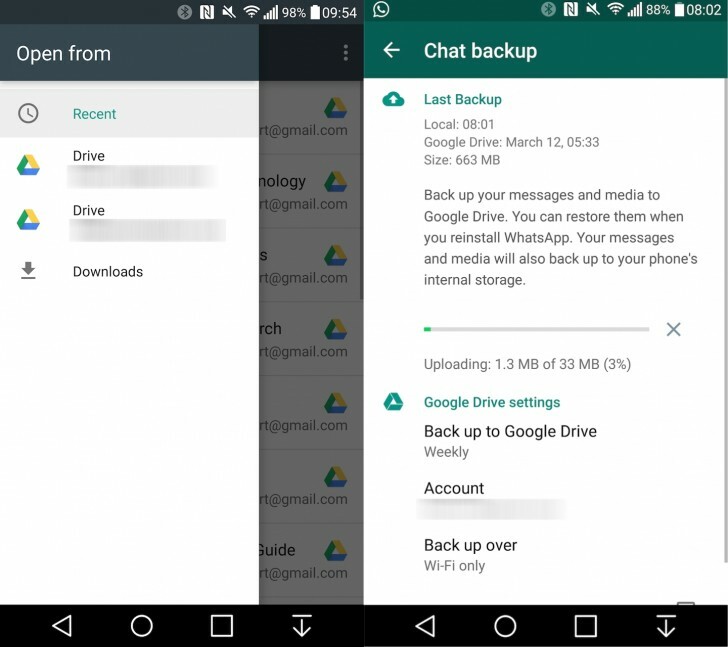 The final new feature has to do with the Chat backup to Google Drive feature. Sadly, the syncing process is still done on the main thread and blocks you from using the app like in previous versions. However, now the pop-up offers a progress bar, so you can at least have some idea how much time the process will take.